Traversing Utah- April 2012 — Always Packed for Adventure! Remember a few posts back, when I mentioned that our ATV guide gave us a recommendation? We are now at that point in the travel review and here is where things start to get interesting. Our original plan called for three nights in Zion and two in Bryce, then heading back to Vegas. We ended up doing two nights in Zion and one in Bryce, leaving a few nights for an adventure! Our guide recommended that we drive to Lake Powell and rent a boat for a few days. It sounded great to us. We had done enough hiking and were ready to lounge around on the lake and end our trip on a relaxing note. The day started off great. We did the Bryce hike in the morning, showered and hit the road by ten. 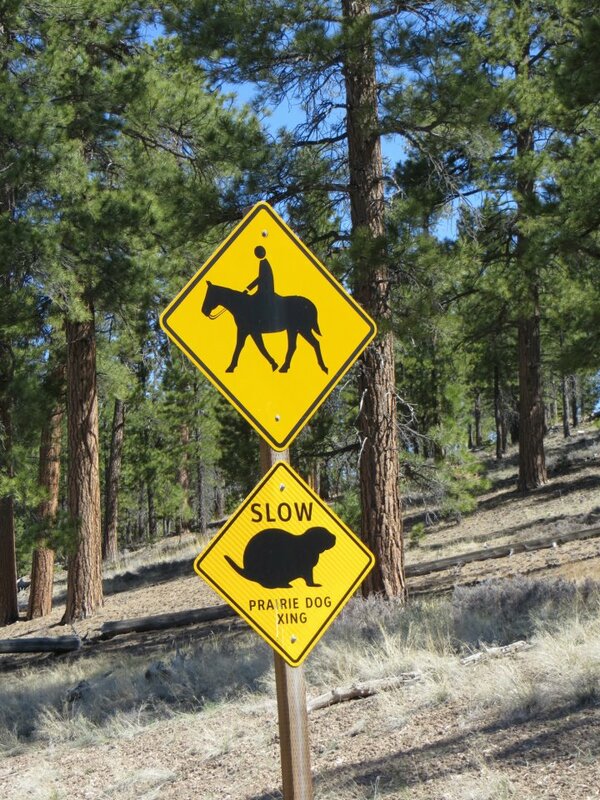 When exiting Bryce, keep an eye out for Prairie Dogs! A big travel tip from a hard lesson learned, always make sure to consult a map when heading out. Additionally, don't rely on GPS, because it doesn't always work, especially in remote areas. We just took off, each thinking that the other person had stopped to check on directions. Our second mistake, was once we realized that we were heading in the wrong direction, not turning back. I'm not sure if this was a total mistake, as it gave us the opportunity to drive across Utah, seeing places that we would never have seen otherwise and likely won't see again. The decision to keep going, sent us on quite the epic and remote Utah road trip. 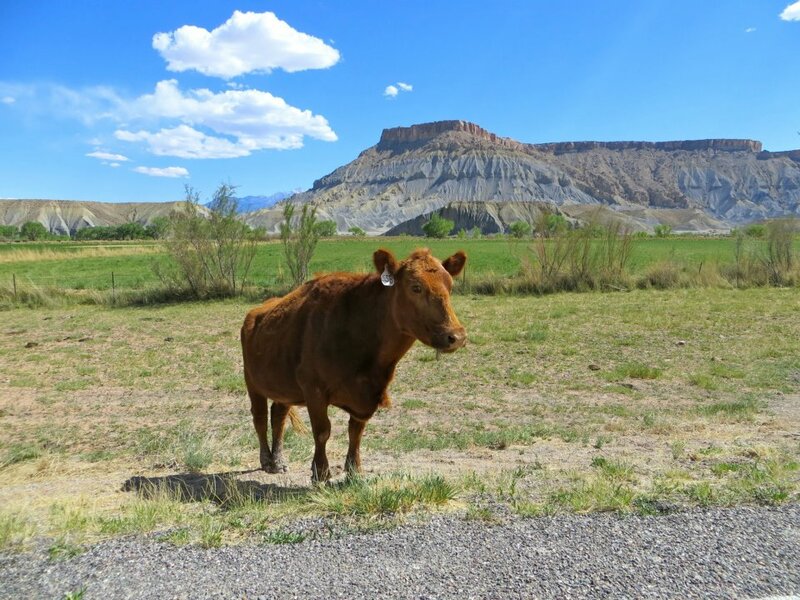 Once we realized our mistake, it looked like our best option was to drive to the town of Bullfrog, a four and half hour drive and take a ferry to Lake Powell. One of the highlights on our Utah trip was lunch at the Burr Trail Grill, off scenic route twelve. This place was awesome and had one of the best burgers that I have ever eaten. It was an Oasis is a drive that didn't include too many signs of civilization. 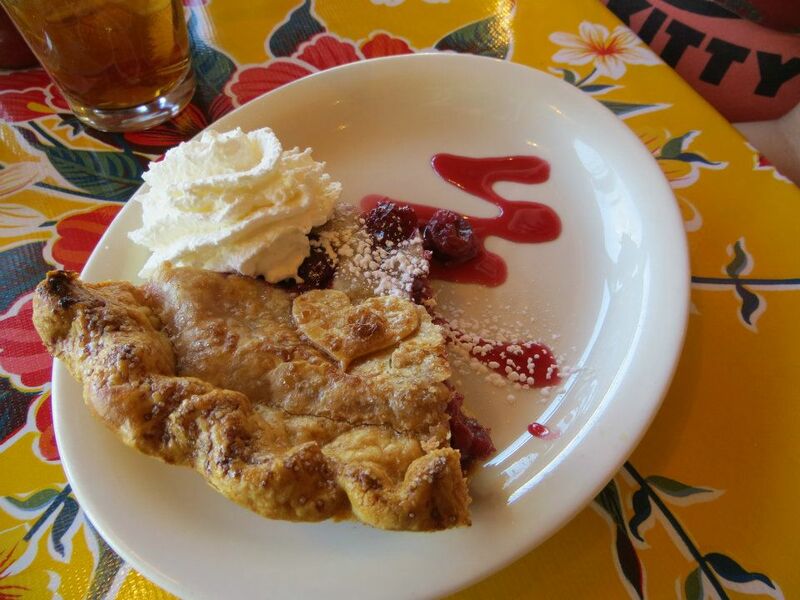 homemade cherry pie at the Burr Trail Grill. it was yummy with a kick to it. Spicy Cherry pie totally works too! Thunder fueling up at a station near the Burr Trail Grill. We almost grabbed food in the station, because we had not seen a restaurant for hours. Luckily, we waited and the Burr Trail Grill was down the road. All of the burger meat is local, grazing right outside. Burr Trail Grill - a must stop, if you find yourself in the middle-of-nowhere Utah. Another gem that we discovered on our drive was the Dixie National Forest. Most of the leaves were still gone from the trees and with the exception of a few cyclist at the summit, we were alone. This looked to be a very popular spot during the warm summer months, as we saw many signs to camp sites and picnic tables. It took us about an hour to drive through it and was one of the prettiest parts of the trip. Hurry and take the picture, it's windy! 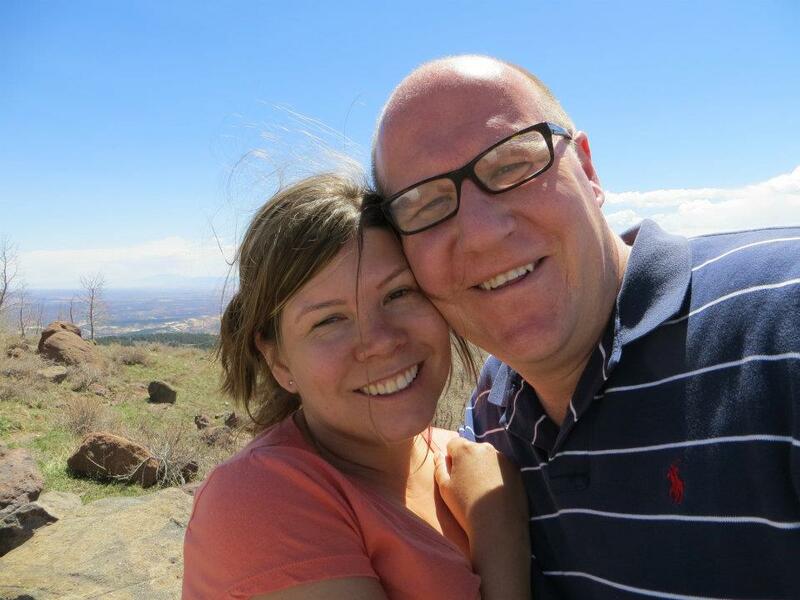 Standing at the Dixie Forest Summit. We finally reached Bullfrog. It was a decent size town, but everything looked closed. We headed straight for the marina, to learn that we had missed the last ferry of the day by half an hour. We had no choice but to turn around and head back to the road. Dan decided to let me try to take the wheel and gave me my first stick shift lesson on a deserted road in Bullfrog. I lasted ten minutes. We headed for the town of Hite, which many road signs led us to believe, would be a sizable town. We finally reached Hite, after crossing a large bridge over the Dirty Devil and Colorado rivers. Hite, once another place for a ferry crossing and water sports, is the town that time forgot. It was ghost town, looking completely abandoned. Our hopes of a hotel room for the night were crushed and we kept driving. The coolest road ever, just beyond Hite. The view from across the bridge. About an hour beyond Hite, we started to grow concerned. We had not seen any gas stations and rarely did another car pass us. We saw one structure, with creepy signs very clearly letting strangers know that they did not want visitors. It was starting to get late. We had a choice to make, keep going and risk the gas running out or trying turning back to the one gas station in Hite and hope that it worked. We had zero cell coverage in case of an emergency. So, we headed back to Hite. it's always horrible to have to double back, but in this case, it was the right decision. Luckily, the gas station was working, even though there were no attendants on duty. I made PB&J sandwiches from our left over camp supplies, while Dan pumped the gas. Right before we headed out, an off-duty police officer pulled into the station and we found out that we would not have found gas, if we had kept going. A big collective sigh of relief. We regrouped and based on his recommendation, set our sights on a hotel in Blanding, still many hours away. Unfortunately, I would love to report that it was all about the journey and not the destination, but when you've been in a car all day, the hotel room starts to sound really wonderful. We did get some beautiful pictures on the drive. Southern Utah is remote and the landscape is gorgeous. I love the saturated colors. Sitting on a rock during a rest stop. And a hole n' the rock. A cow, just on the side of the road. The drive included narrow roads. We finally made it to Blanding over twelve hours after we had originally set out. Blanding is a decent sized town, they had several hotels and fast food restaurants. A single screen movie theater was in the town center. We took a quick look around (it is a small town) and ended up at The Four Corners Inn, a motel boasting a free breakfast buffet. I have never stayed at a worse motel. Never. Ever. Not close. it was likely my overactive imagination, but my skin was crawling with imaginary bed bugs and I couldn't sleep all night. In the light of day and judging from the fellow customers having breakfast, this place catered to bikers, junkies and hikers. If you are ever near Blanding, I highly recommend driving right on thru, the next several towns were much nicer! The motel in the daylight. We were in a room on the top left and it was scary leaving Thunder in the parking lot. We got up early and left Blanding as quickly as possible. The people that we encountered in the community, were all very nice, but it was not a town that i would recommend or ever visit again. We decided that it was game over and time to head back to Vegas for a few more days, cutting our Utah trip short and giving up on heading to the lake. 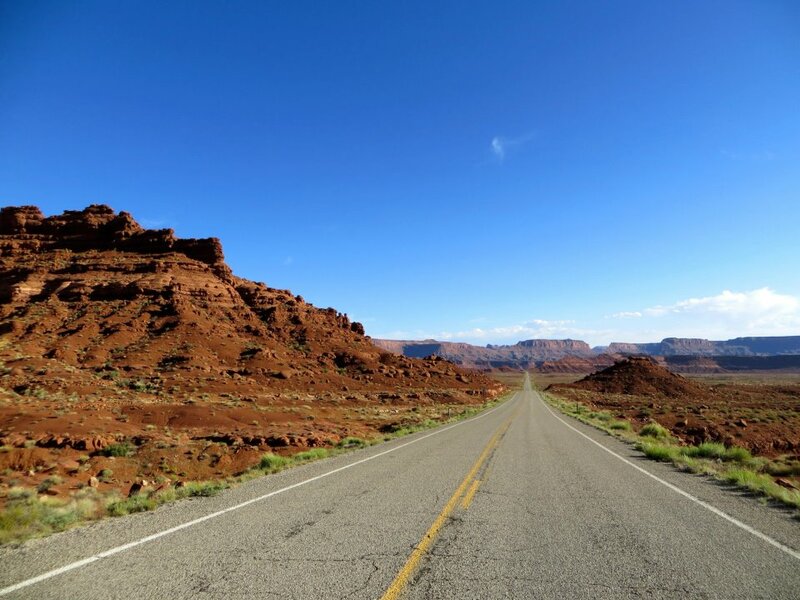 The drive back to Vegas, via heading up and over through Moab, was a lot less rural and less scenic of a drive. The highlight of my day, was lunch at Cracker Barrel, the closest one to Los Angeles. I have a great love for Cracker Barrel's Chicken and Dumplings, washed down with some sweet tea. We were happy to be back in Vegas, where we hung out by the pool, went to the Titanic Artifact Exhibit and saw KA. We needed a vacation from the vacation!